I apologize that it has taken me this long to populate my blog. Finding the time and project has been a big task. No more excuses, here we go. 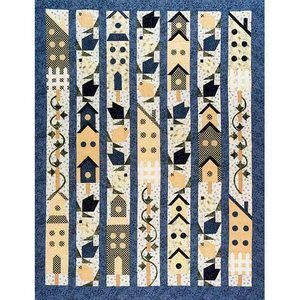 I decided to start with the Many Paths All Around – BOM Quilt Pattern by Elisa’s Backporch Design. Coming into the quilting world from the garment sewing world, I was fascinated by the notion that you can sew on a curve without pins. What NO PINS? Amazing. For you experienced quilters and seamstresses, that may not come as new news, but I am intrigued. 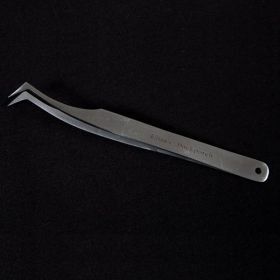 So no pins does not mean no tools. As an engineer by degree, tools = toys and who does love new toys. Here are the new toys for my sewing room. 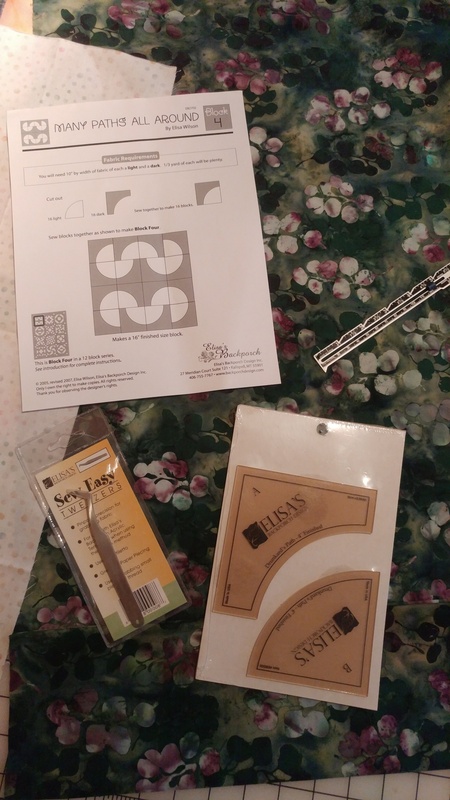 Please note Elisa does include a paper template in her pattern for your to make your own 4″ Drunkards Path Template, but again I am a busy mom, it was worth the money to purchase the template outright. Finally, choosing the fabric. 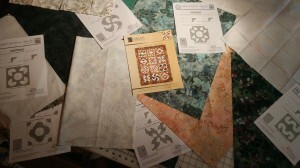 Here are my starting fabrics and were else do you start, but block one. 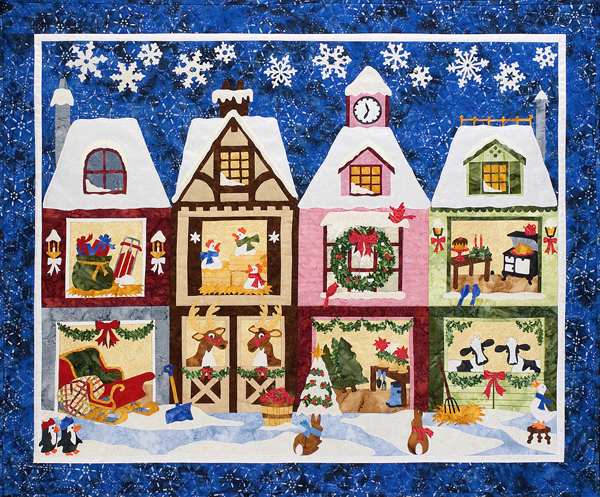 Sue Pritt of Sweet Season Quilts released her Holiday Ladies earlier this year. Like her other patterns, they are AMAZING! Beautiful building scenes dressed in snow and holiday spirits, the designs come to life with all the detail she includes. 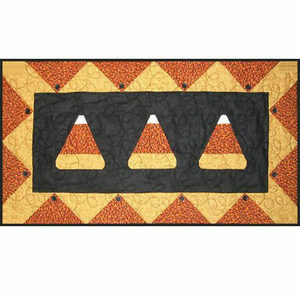 The above quilt is all four patterns combined, or you can make each one separate, or two pairs, or ??? The Sleigh Barn features a sleigh, with a comfy quilt for warmth, on the first floor. The presents are all loaded in a giant sack on the second floor. A pair of penguins stroll across the bottom of the quilt. The occupants of the first floor of the Reindeer Shack are checking out the apples (yum!). Three hens on the second floor are chattering away, and the shovel is ready for the falling snow. The Holiday Ladies Trees & Greens building features a couple of cardinals admiring a beautiful wreath decorating the second floor window, while down below several trees wait for their embellishments, and several poinsettias are blooming for the season. Oh, and look at the bunnies checking it all out! The Milk & Cookies are ready for Santa. All the decorations are up, the snow is falling, the cake is ready ….. time for celebrating! 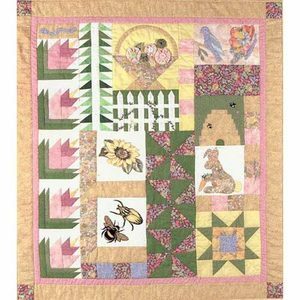 Simple piecing and fusible applique make these patterns suitable for quilters from beginners to advanced. These will be treasured holiday decorations for years to come. If you can bring yourself to part with one after you’ve made it, any one of them would make a wonderful gift, too. Don’t you just love the fall colors. 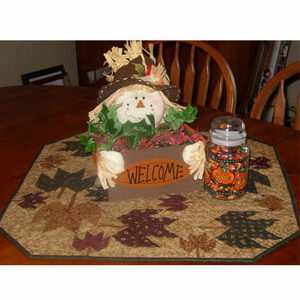 Bring them inside with table runners. 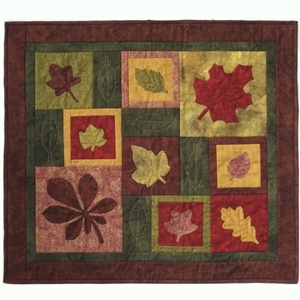 Fall Table Quilt from Kathie’s Kreations measures 26″ square. Use reproduction prints in several shades of autumn colors with a neutral, warm background, or go for the splash with bold batik autumn colors. 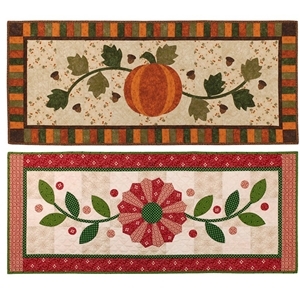 Fall Into Winter offers two table runner patterns. The Dresden pieces for the winter pattern are pre-cut and included! Medley of Leaves looks like a beautiful piece of art, doesn’t it? Make this one as colorful or as subdued as you like and it will be an eye catcher either way. 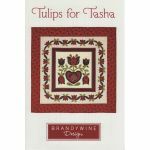 Use as a table topper or as a wall hanging. Check out the rest of the table runners…. there are eight pages of them! Some are seasonal, some are not but can be made seasonal by the choice of fabric. 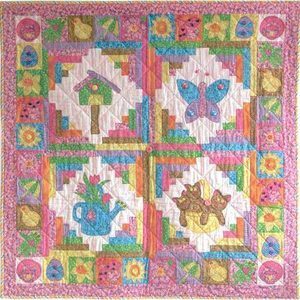 The Quilt Branch Books Discounted! Until November 1st, all quilting books by The Quilt Branch are available for 10% off! We all love our patterns, but books offer so much more. 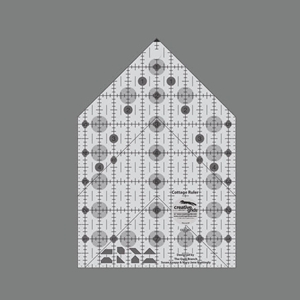 Except in the case of larger, more complicated patterns (like samplers or intricate piecing), most quilt books contain several patterns. You will also benefit from the designer’s experience as the author/designer ofter shares helpful tips and shortcuts for the piecing process, suggestions for fabric selection, and sometimes even quilting ideas instead of the dreaded ‘quilt as desired’. 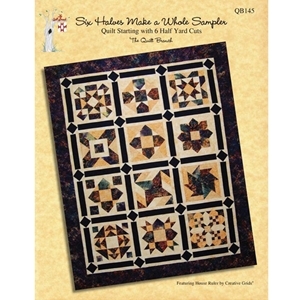 The Six Halves Make a Whole book series contains patterns that can be made from bundles of six half yard cuts of fabric. 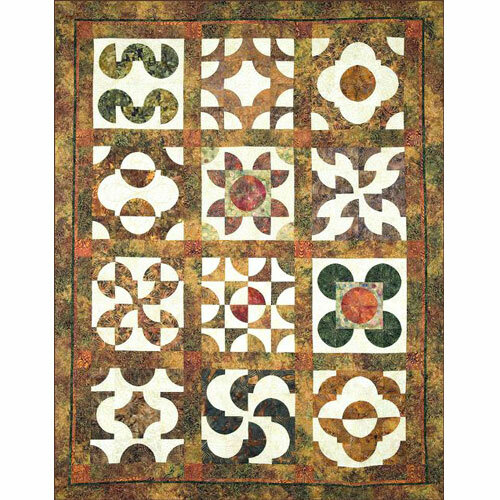 Six Halves Make A Whole Sampler not only has instructions for a 62″ x 72″ quilt, but also patterns for using the blocks in a table runner and to make a tote. Any of the blocks would look good by itself as a mini- quilt. 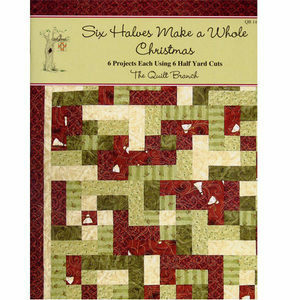 Six Halves Make A Whole Christmas quilt book has instructions for six different projects using six half yard cuts of fabric. Make Christmas stockings, a tree skirt, pillow shams, and lap quilts. 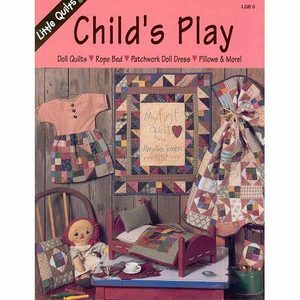 Other titles in the series are Six Halves Make A Whole Quilt (6 projects), Six Halves Make A Whole Lot More (6+ projects), and Six Halves Make A Whole Starburst Quilt (Quilt and Table Topper). 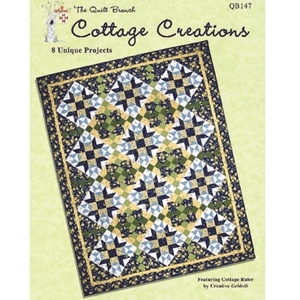 Cottage Creations Quilt Book gives complete instructions for using the Creative Grid Cottage Ruler to make 45 degree patterns. 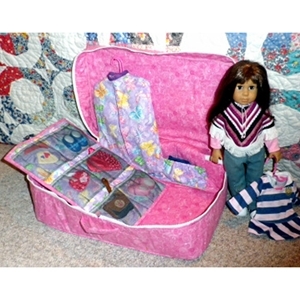 The book includes three quilts, pillow shams, a table topper, and placemats. And then there is the Table Topper Series with 4 books…. one for each season. 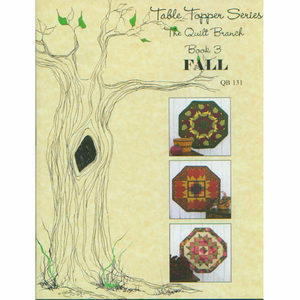 Table Topper Series Book #3 Fall has patterns for three octagon shaped table toppers, one each for September, November, and December. Choose a book (or two, or three!) and take advantage of the discounted price. 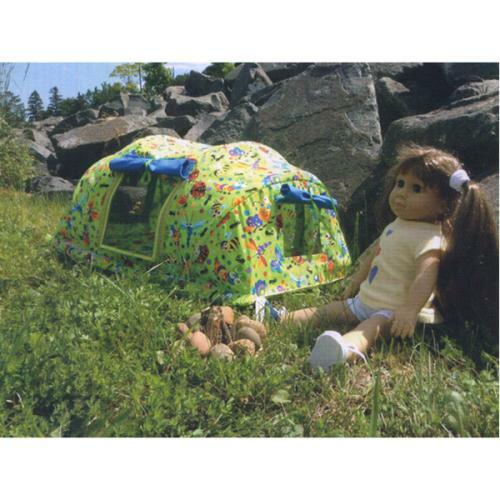 Use coupon code CB2013 at checkout.